However, HTML5 Boilerplate template has been one of the most popular HTML5 templates out in the internet. 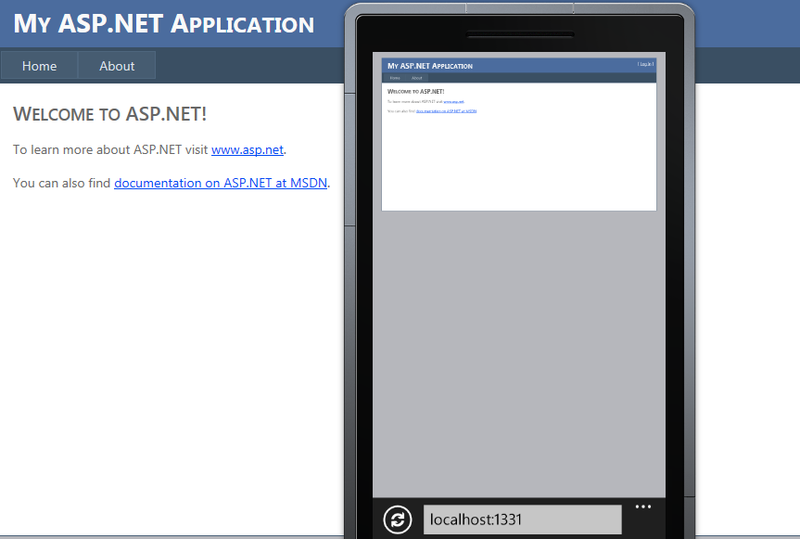 Now, there is one for your favorite ASP.NET Webforms as well as ASP.NET MVC 3 Projects (even for ASP.NET MVC 2). And its available in the most optimal place, i.e. NuGet. Lets see it in action. 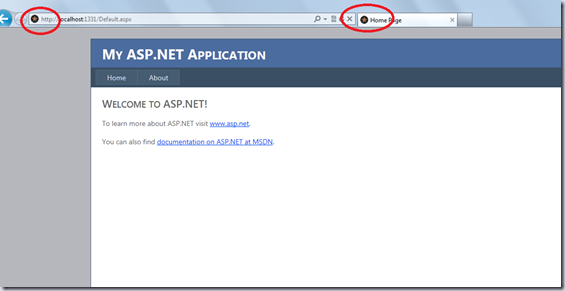 Let us fire up Visual Studio 2010 and create a “File – New Project – ASP.NET Web Application” and leave the default name to create the project. The default project template creates Site.Master, Default.aspx and the Account (membership) files. When you run the project without any changes, it shows up the default Master Page with the Home and About placeholder pages. Clearly, it looks bad on the emulator and if we were to publish the application as is, its going to be the same experience when users browse this app. 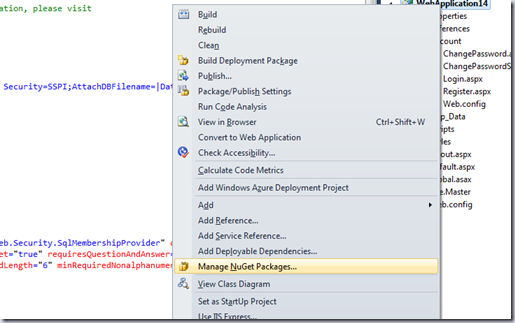 The NuGet Package Manager dialog opens up. Search for HTML5 Boilerplate. The options for MVC & Web Forms show up. Click on Install corresponding to the “Add HTML5 Boilerplate to Web Forms” options. It installs the template in a few seconds. Once installed, you will be able to see a lot of additional Script files and also the all important HTML5Boilerplate.Master file. This would be the replacement for the default Site.Master. We need to change the Content Pages (Default.aspx & other pages) to point to this Master Page. Example <%@ <% Master Language="C#" AutoEventWireup="true" CodeBehind="Html5Boilerplate.Master.cs" Inherits="WebApplication14.SiteMaster" %> would be the setting in the Default.aspx Page. You can do a Find & Replace for Site.Master to HTML5Boilerplate.Master for the whole solution so that it is changed in all the locations. So, now when we run the page from Visual Studio, the following is what we get. Notice the site.icon automatically added. The page otherwise looks similar to what it was earlier. 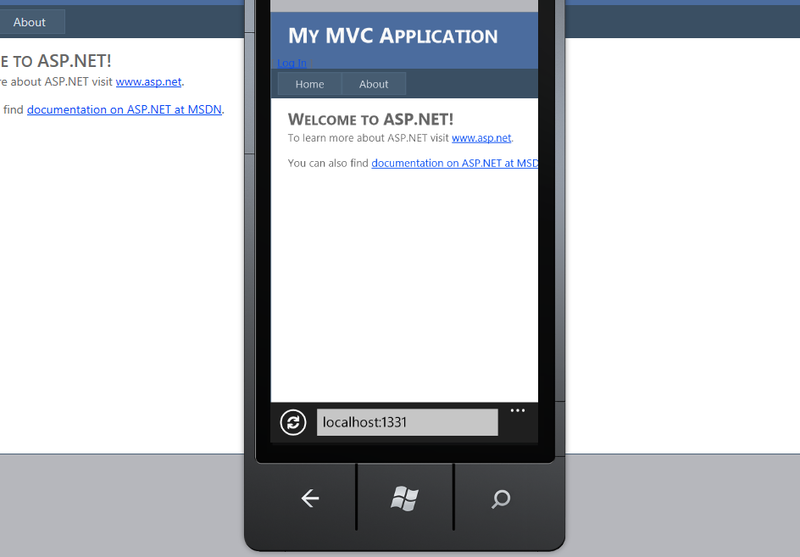 Now, when we also check this page on the Windows Phone Emulator, here below is what, we get. As you can see, we definitely get a better experience now. 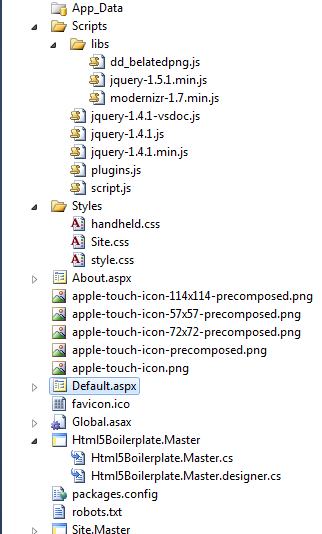 Of course, this is not the only HTML5 feature that we can use. 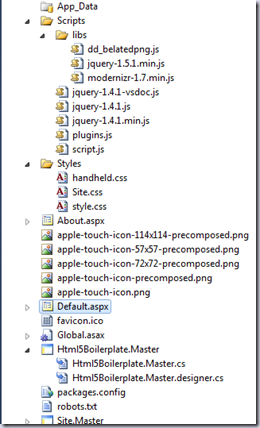 We need to wire up additional code for using Canvas, SVG and other HTML5 features. But, definitely, this is a good starting point. You can also install the HTML5boilerplate Template for your ASP.NET MVC 3 and ASP.NET MVC 2 from the NuGet packages and get them ready for HTML5. 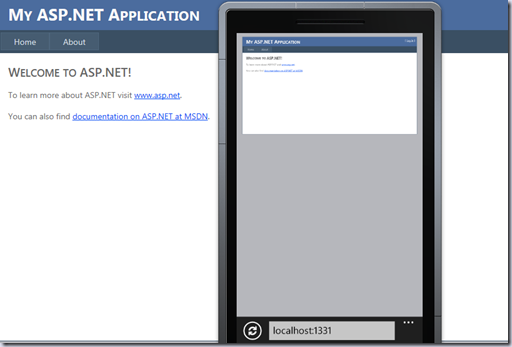 Do you know where can i find more info about .net, mobile and html5? 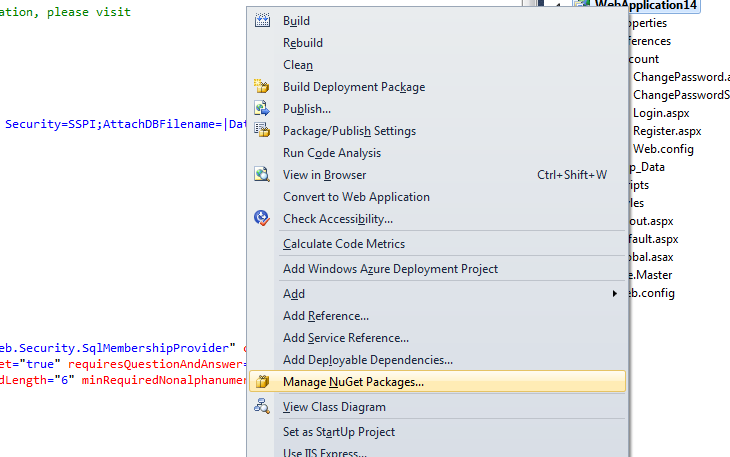 And, if it's not ready, should NuGet reject the ability to install this in a VS2012 or .net 4.5 scenario? Both versatile and desktop program demands have of late come up in crowds and have additionally brought on numerous improvement groups to bargain on quality subsequently missing out on the cutting edge benefits of Coursework Writing all the while. 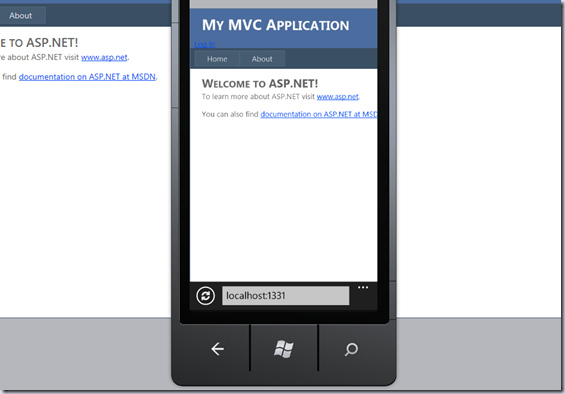 The apparatuses offered in Visual Studio 2010 and ASP.NET MVC improvement can help in making codebase that can serve both desktop and versatile site clients with ideal quality.